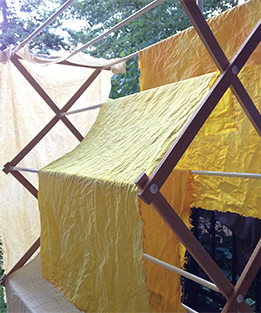 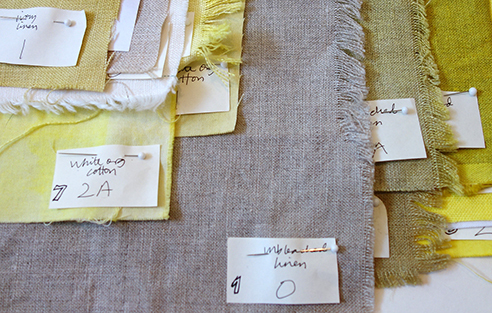 This project began as a dyeing experiment with turmeric, carrots, celery, and black tea in the heat of summer, mapping and comparing subtle color changes against un-dyed cotton and linen. 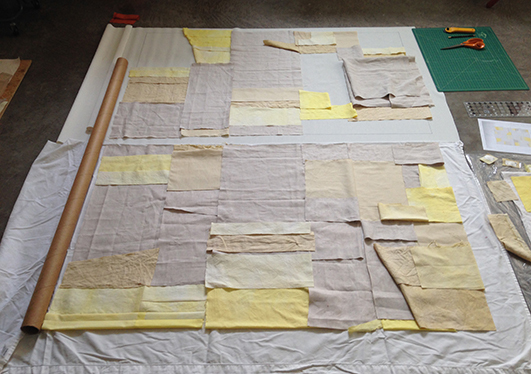 These components grew into a larger organization across two lined wall panels. 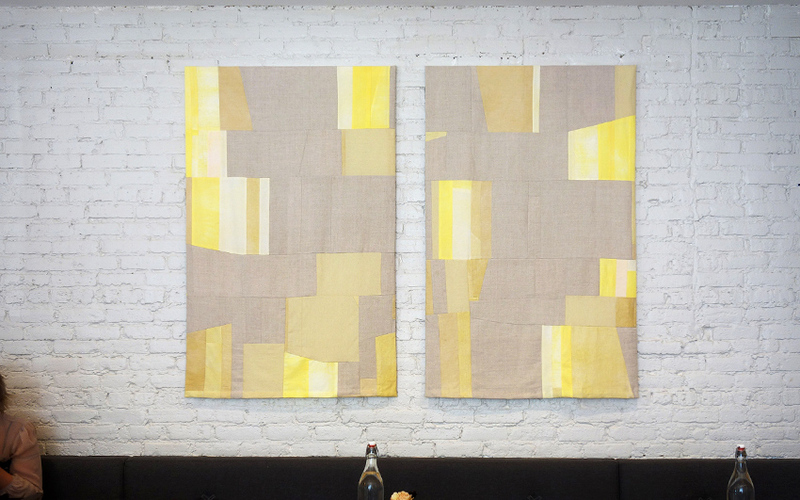 This work was commissioned by a couple who wanted a piece installed as a backdrop for their wedding ceremony that could later become part of their home collection.